A revolution in workforce mobility is currently occurring. Workers need tools that are familiar, simple to operate and shave time off daily tasks, enabling them to work just as productively off-site, as they would in the office. This is where mobile enterprise devices come in. Businesses can be much more productive if employees are equipped with enterprise devices, which integrate the capabilities of consumer devices and so much more. From the factory floor, to the warehouse and even on the roads, enterprise devices are saving time and creating a huge return-on-investment for business managers. Zebra’s TC52 WLAN and TC57 WWAN Touch Computers are the ultimate in enterprise-class touch computing and provides seemless user experience within the four walls and outside of your business. One of the key benefits of mobile enterprise devices such as Zebra’s TC57 Mobile Computer, lies in training and ease of use. Smartphone-style enterprise devices can aid in providing an intuitive experience for users, similar to the devices they use at home. 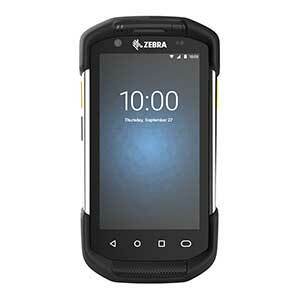 Zebra’s mobile computers use a modern Android operating system, which reduces training times, and allows staff to be productive from day one – the more familiar the operating system, the faster users will get to know the capabilities of the devices they are using. Furthermore, mobile enterprise devices are specifically designed to facilitate applications which support business needs more closely than consumer devices. For example, within the warehouse, workers are being outfitted with mobile devices that contain powerful scanners and imagers. 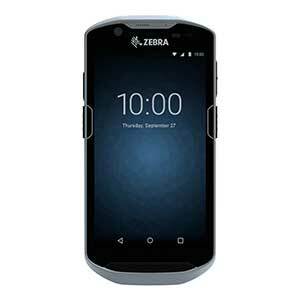 Zebra’s TC57 Mobile Computer enables users to scan 1D and 2D barcodes even when codes are damaged or distorted by shrink wrapping. In locations where items are stored in awkward corners, or on high shelves, devices that can scan over long distances improve worker safety and save time to an unprecedented level. Enterprise-grade mobile computers with sophisticated imagers integrated into their systems can make scanning all kinds of barcodes and forms faster and easier, boosting efficiency. Real-time data and analytics also prepare supply chain operations to increase fulfillment. Mobile enterprise devices connect every link in the supply chain and enable transparency that improves operations at every part of the journey. It empowers workers with best-action guidance—so they can make decisions that impact overall success. Having access to real-time data offers the ability to track inventory even when it’s in-motion, which allows for greater flexibility to optimise efficiencies. This could mean adjusting a delivery route or creating a smoother picking and packing workflow—the possibilities are endless. It also allows workers to react fast if a customer changes or cancels an order prior to fulfillment, which minimises the risk of a later return. Additionally, upgrading mobile enterprise devices allows for a revision of workflows. By incorporating a review of processes alongside the introduction of new mobile technology, businesses can aim to complete tasks faster and with fewer resources. This also helps eliminate costly and time-consuming errors which occurred using the prior system. Modernising operations across the supply chain and transport industry with mobile enterprise devices offer limitless opportunities for increased efficiency, productivity and profitability. Zebra’s engineered mobility DNA transforms Android™ operating systems into an enterprise-ready force, making application management simpler, integration problem-free and operations a powerhouse of productivity. To learn more about how mobile enterprise devices can improve your business, read Zebra’s whitepaper here.